If it is one thing I have learned this summer is that really good wildlife shots, in the wild, are very hard to get and the opportunities poor. The wolves and grizzlies are visible in the early morning at 6am and are pretty much gone into the woods or bedded down to sleep by 8:30am. Most of the sightings in the Lamar Valley are a mile to two miles away. But every once in a while you get lucky. 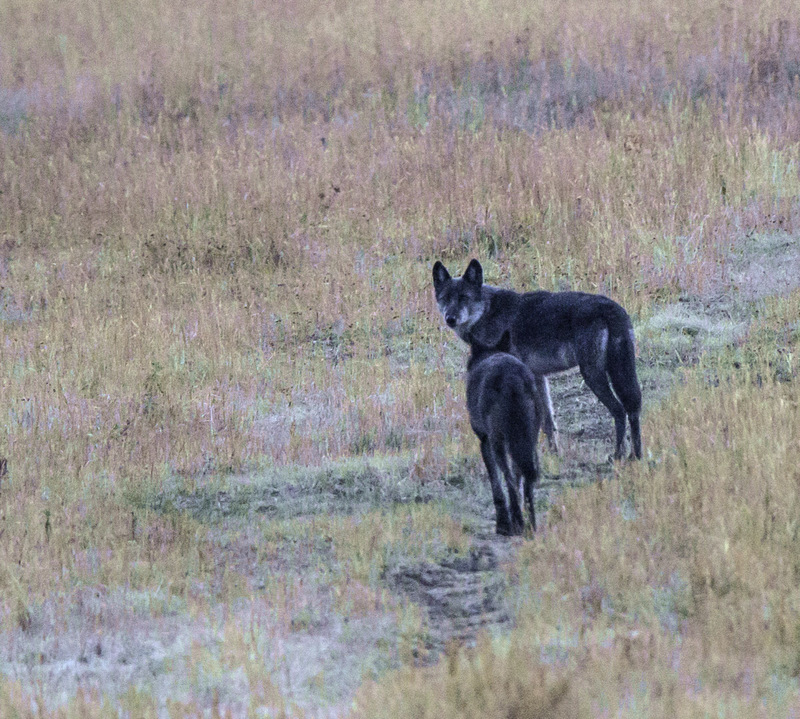 This morning at 6:15am we turned a corner, on the way into the Lamar Valley, and there were the Lamar wolf pack right next to the road. Right next to our car door. Given the fates it was too dark to get an image. But we followed them back up the road for about an hour and as the light got better I was able to get an image or two. May I introduce you to 926F and “Little T” the two females of the Lamar Pack. No pups in sight unfortunately.